Ms. Ouellette graduated from University of Detroit Mercy with a Bachelor of Science in Business Administration. While attending the University of Detroit Mercy, Ms. Ouellette was honored to be on the Dean's List. After attaining her Bachelor's Degree, Ms. Ouellette attended the University of Detroit Mercy School of Law and obtained her Juris Doctor. While attending the University of Detroit Mercy School of Law, Ms. Ouellette began her legal career. Ms. Ouellette worked alongside the United States Attorney for the Eastern District of Michigan. Upon passage of the State of Michigan bar examination, Ms. Ouellette than began her personal injury career. Ms. Ouellette's work experience includes over 10 years of experience and knowledge in the field of personal injury. Ms. Ouellette has experience working both for the defense alongside major insurance carriers, and for the Plaintiff working to get thousands in recovery to the injured. In addition to personal injury, Ms. Ouellette's fields of expertise also include bankruptcy, family law and wills. 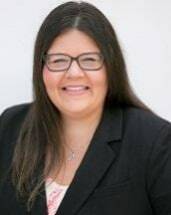 Ms. Ouellette has been a licensed attorney for over 9 years, focusing on personal injury, automobile accidents, Michigan No-Fault law, dog bites, slip and fall cases, bankruptcy, family law and wills. Ms. Ouellette has successfully taken numerous cases to trial and is ready to work for you.